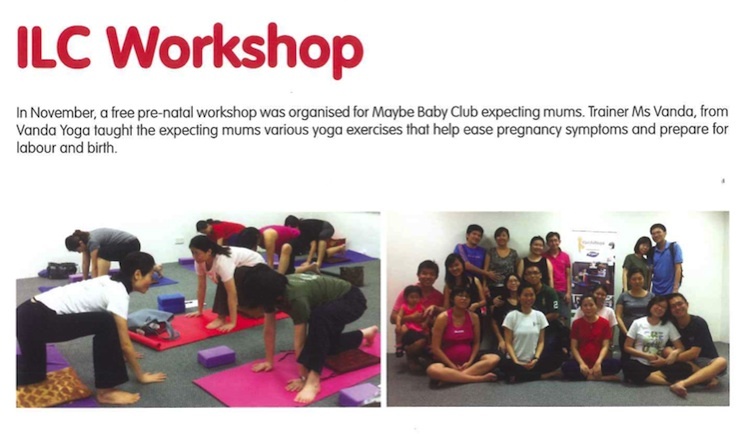 Prenatal and Postnatal VandaYoga classes are taught based on Birthlight principles. to use the latest research findings in the development of simple but effective movements. Women are well known for focusing their attention, time and energy on everyone except themselves. With a passion for helping women look and feel beautiful, Amber Roberts of Click-oh! Photography knows how to create glamorous photos that will transform the way you see yourself. It's Amber’s mission to remind all women just how beautiful they are, showing them that despite having kids, being another year older, changing shape, or going through life's ups and downs, they still have the same unique inner beauty that should be captured and celebrated in front of a lens. All sessions with Click-oh! Photography include a fabulous makeover with a professional hair and makeup artist followed by a relaxed, affirming and unforgettable experience during your photo shoot. The result will be a portfolio of the best images you have ever seen of yourself. In chronically ill people, yoga helps improve biological parameters, lessen the severity of symptoms, and improve quality of life at a physical and psychological level. The National Cancer Institute (NCI) has awarded more than USD4.5million for the study of yoga in cancer. This is the largest ever awarded by the NCI for the research to be done in collaboration with the Vivekananda Yoga Anusandhana Samsthana, a yoga research foundation and university in Bangalore, India. This was also where Vanda obtained her yoga teacher certification. This website has the most up to date and comprehensive information about Pleural Mesothelioma on the web today; with information ranging from a complete list of symptoms, to treatment options and steps to take after a diagnosis. iheartmyyogi is a revolutionary yoga teachers directory which allows yoga students to follow their yoga teachers online. Vanda is proud to be one of the featured yogis on the directory. This is a website focused on sharing information about yoga in Singapore. Yoga Movement is a place not just to talk about the practice of yoga but to discuss the whole movement toward starting, understanding, and progressing along the inner journey. This is a Global guide to yoga instructors, studios, ashrams and retreat centers! To learn more about many modern and traditional styles of yoga, visit their Yoga Style Glossary. This is the most comprehensive collection of yoga studio schedules available online. You can also bookmark me on this directory. Hatha Yoga ist einer allgemeine Yogastil nutzt die klassischen Yogastellungen und verschiedenen Sequenzen, um den Körper zu stärken, zu öffnen und zu reinigen. Diese Klassen werden in einmaliger Art und Weise, abhängig vom Lehrer, durchgeführt. Hatha kann, in Abhängigkeit vom jeweiligen Lehrer, zu ganz unterschiedlichen Erfahrungen führen. VandaYoga is listed on YogaPages - The UK's premier online yoga resource, helping you to maintain and develop your yoga practice. Use YogaPages to make new friends through the Yoga Discussion Forum, keep a Yoga Journal, post your pictures on the Picture Gallery, and keep up to date with Yogi News. YogaPages also has a Directory of Yoga Teachers and details of Retreats & Holidays world wide, aiding your future yoga path. VandaYoga is listed on Lacartes.com - online guide for local businesses in London UK. It has since evolved into an online community, where you can explore a wide range of products and services offered by 27,286 companies in 96 countries, share experiences and updates, make online bookings and more.